Prime have managed our rental properties now for many years. The staff have been a pleasure to deal with, they are very efficient, professional and great communicators. 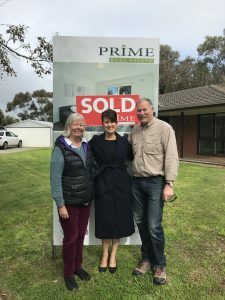 With the recent sale of Poplar Crt, we have been extremely pleased with the great work Gina has done and her assistance in getting the property prepared for sale. Her experience and advice have been very valuable. Her auction skills and rapport with interested buyers, her personal attention to details and the warmth she displays is a credit to her and makes the process a pleasurable experience.